Christmas is over, and 20 minutes ago it was officially the New Year in Colorado. My husband and I stayed home tonight, watched Breaking Bad on Netflix, ate lamb and potato stew for dinner, and drank champagne, of course. And even though we didn't go out, I dressed up in a cute little sequin dress for our party for two, although I kept my fuzzy slippers on. 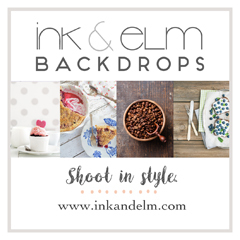 I get a little sad after Christmas - sad that it's time to take down the ornaments and pack away the stockings and garlands and gingerbread house. Time to get back to the regular routine and continue the renovations on our house, after our month-long break from all of that work. Our family has all gone home, and there are sheets and towels to wash and extra pillows to put away. I cooked so much delicious food for the holidays that my husband and I are still eating leftovers for dinner. Besides Christmas dinner and so many breakfasts of oatmeal and muffins, eggs and bacon, and ham and biscuits with homemade lemon marmalade and apple butter, there were lots and lots of desserts. I made an apple rhubarb crumb pie, and a chocolate cream pie with a salted graham cracker crust, which was everyone's undeniable favorite and the first thing to disappear. And white layer cake flavored with almond extract and frosted with fluffy chocolate buttercream. Toasted coconut orange pound cake with orange custard sauce served on the side. Chocolate espresso loaf bread. 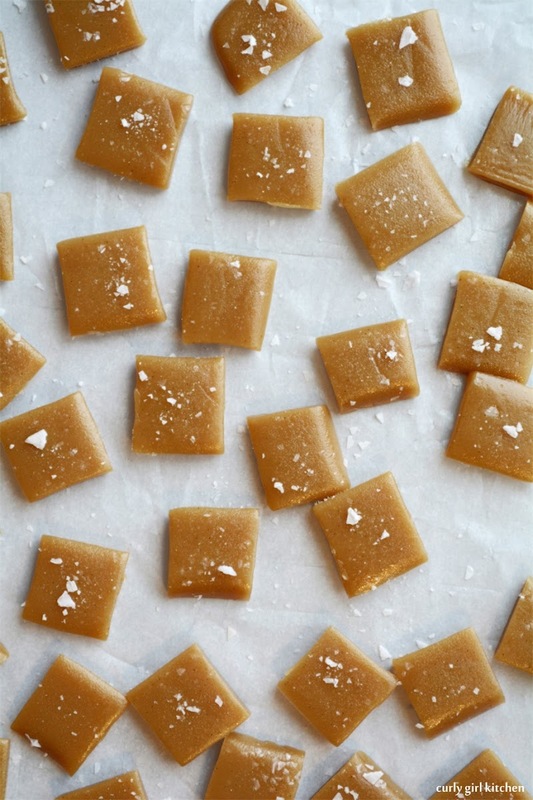 And then there were these buttery-soft vanilla bean salted caramels. 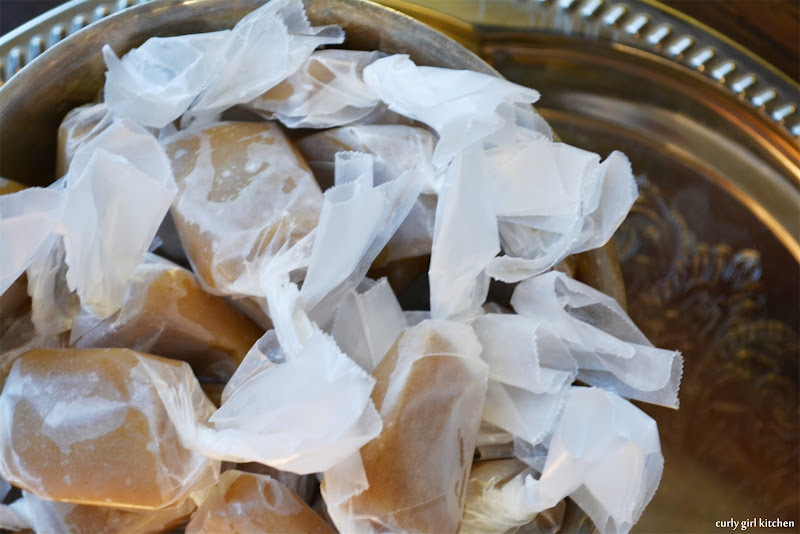 These are without a doubt, the easiest caramel recipe I've ever tried. Far easier than English toffee, although it's not really fair to compare the buttery crunch of a perfect bite of toffee to the smooth creamy texture of these soft caramels. 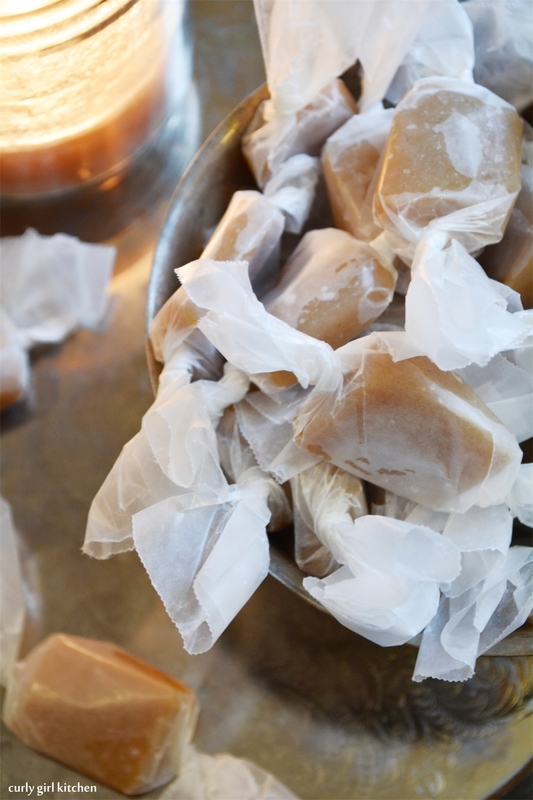 But that said, they might be my new favorite holiday candy to make, simply because of their ease. 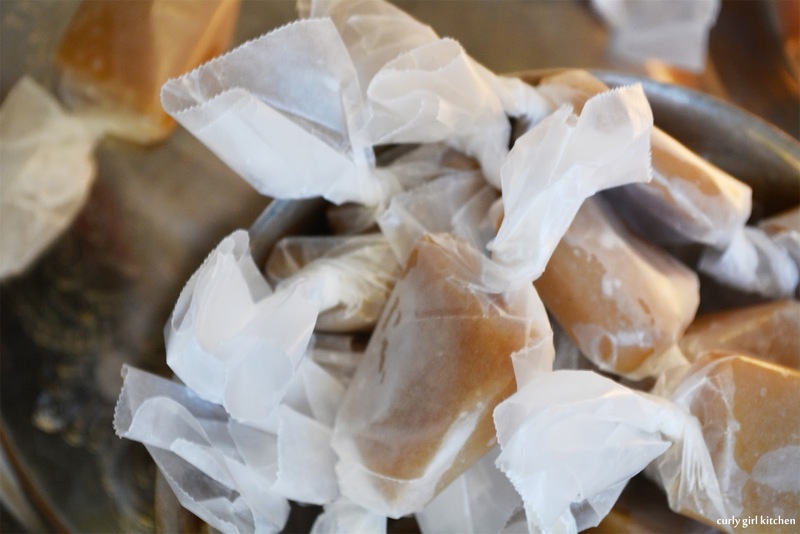 The corn syrup is a necessary component as the combination of the different structure of the sugars in corn syrup and the other sugars prevent crystallization in caramel. Don't leave it out. This recipe can be doubled, and I have done it, but be sure your bowl is large enough as this bubbles up quite a bit in the microwave. It will also take longer to reach the correct temperature. 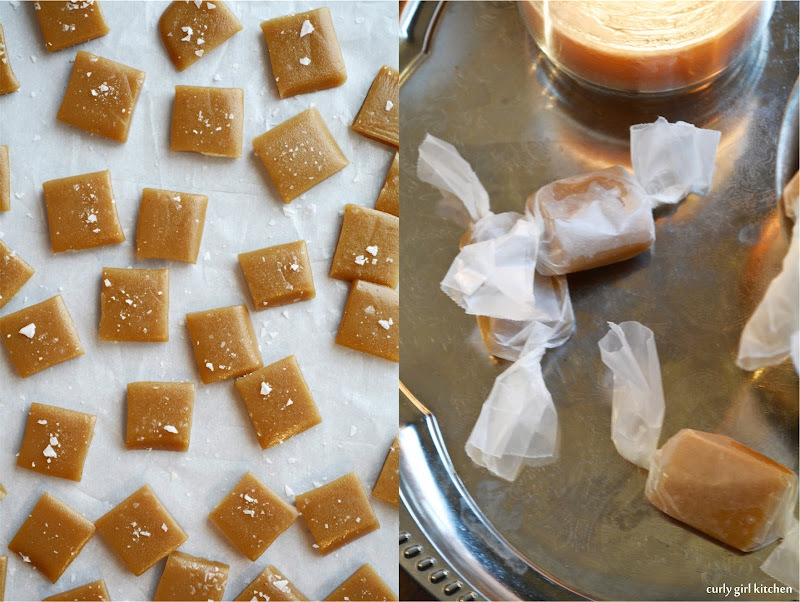 Instead of cutting the cooled caramel into squares, it also looks so pretty cut into long pieces, like tootsie rolls. 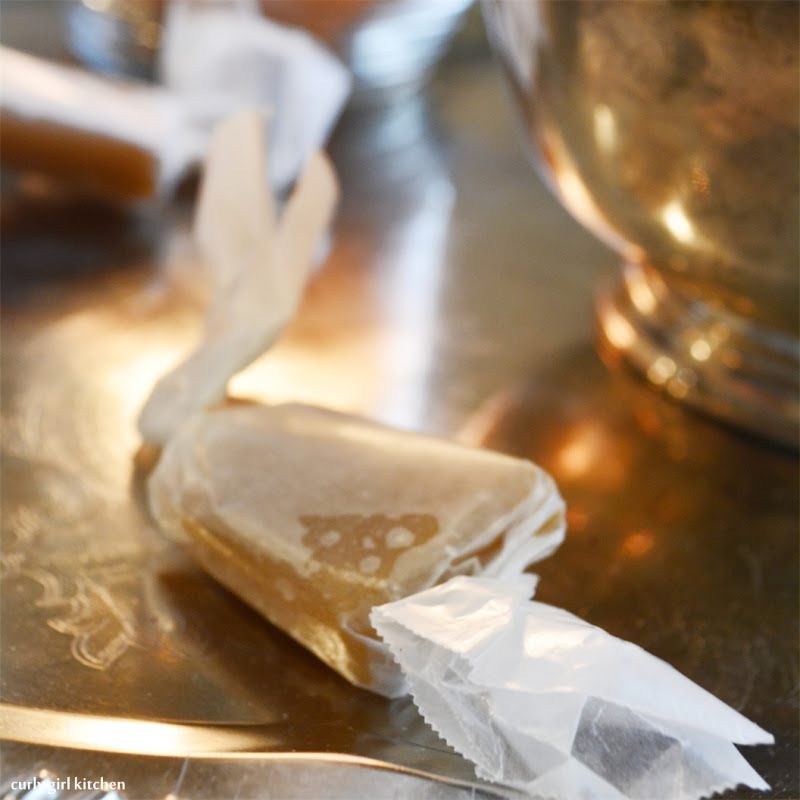 If you don't have a candy thermometer, any thermometer works fine, as long as it reads high enough. I just use a digital instant read meat thermometer. 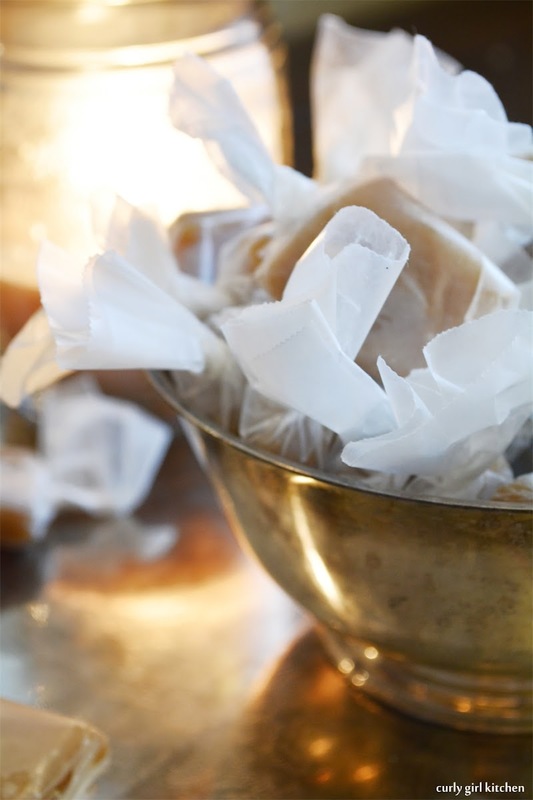 Line an 8x8 square baking dish with parchment paper so that the paper hangs over the edges. In a large, microwaveable bowl (such as a glass Pyrex bowl), melt the butter. Whisk in the corn syrup, sugars, sweetened condensed milk and salt until smooth. Microwave on high for 6 minutes. 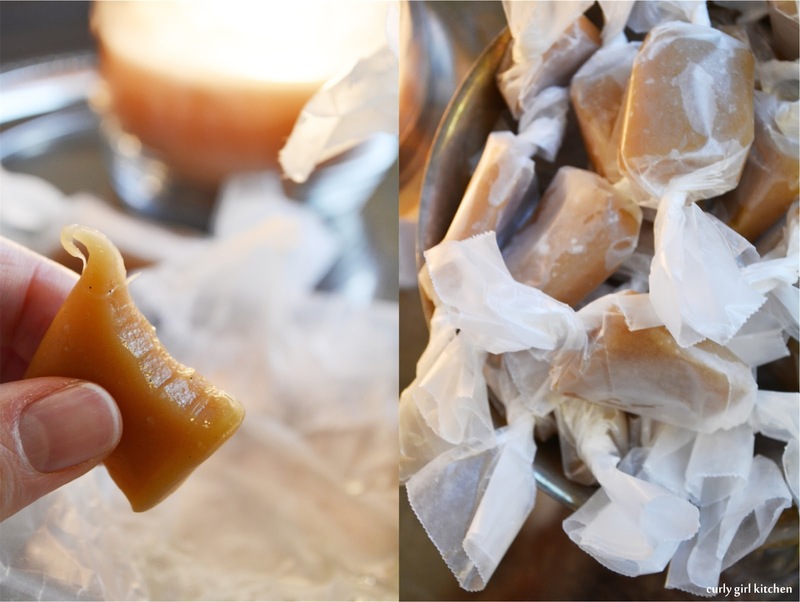 Check the temperature - it should reach between 238-242 degrees to reach the soft caramel stage. If it needs more time, continue to microwave on high in 20-second increments, checking after each increment. Depending on the power of your microwave, it may take more or less time, but mine was done at 6 minutes and 20 seconds. Stir in the vanilla bean paste with a spatula. 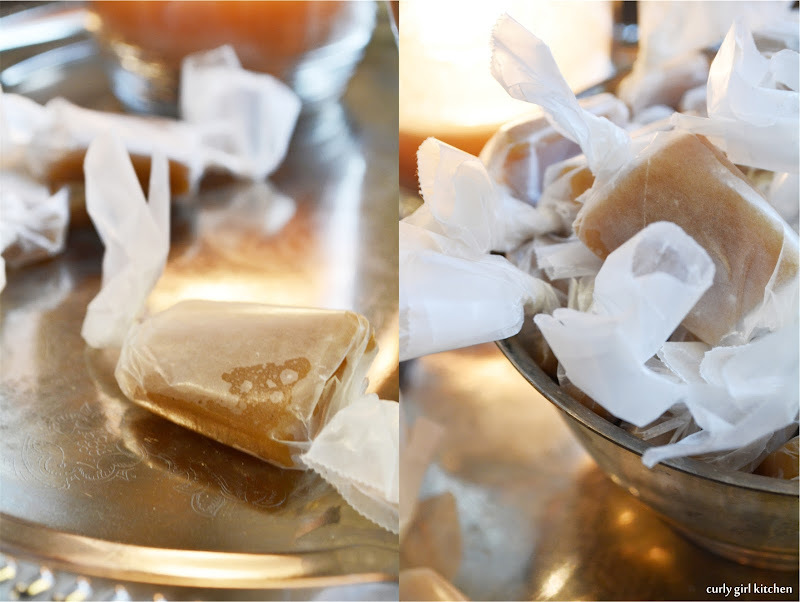 Immediately pour the caramel into the baking dish and sprinkle the caramel generously with coarse salt. 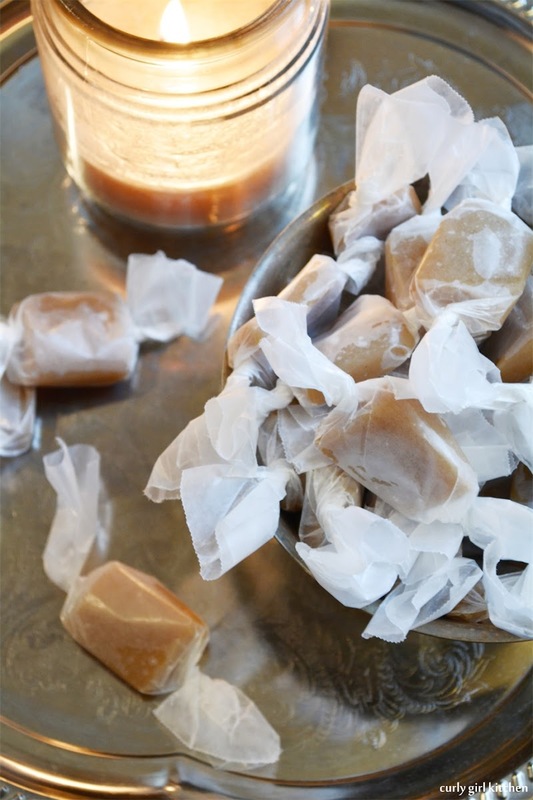 Refrigerate until firm, about an hour or two, then lift the caramel out by the paper, set on a cutting board, cut with a sharp knife and wrap each piece in wax paper.